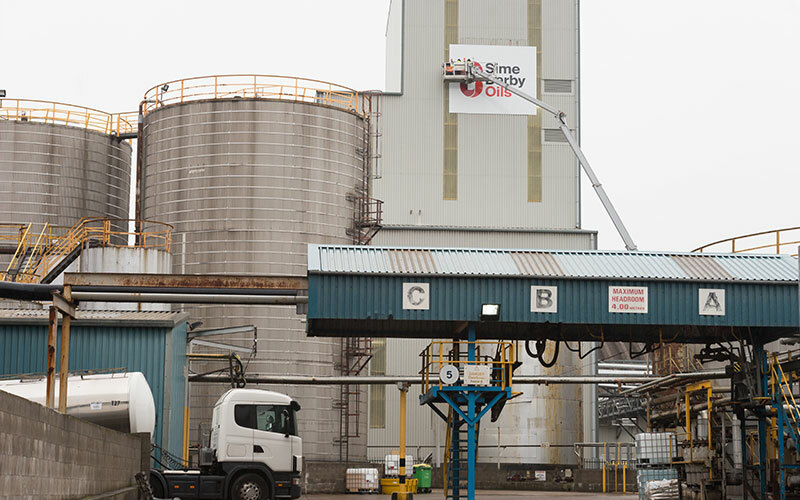 New Britain Oils are the UK's leading sustainable palm oil producers and have built Europe's first dedicated palm oil refinery based in Liverpool. 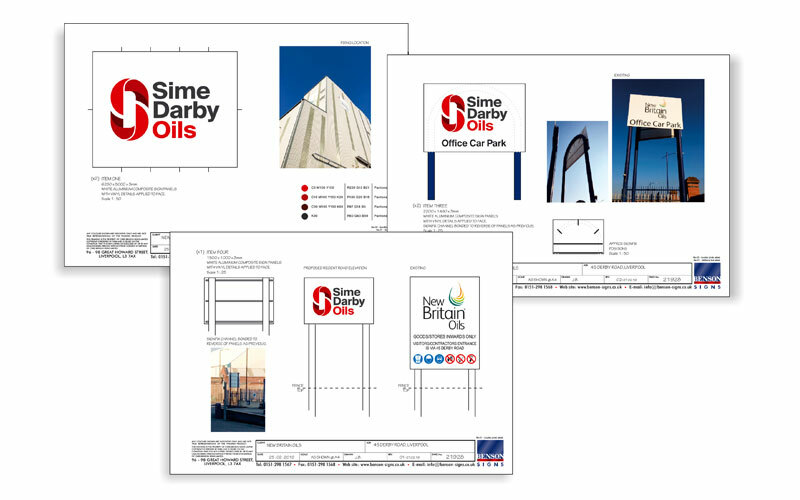 The company have recently re-branded to Sime Darby Oils and Benson Signs were delighted to have the opportunity to submit costs to supply new signage. 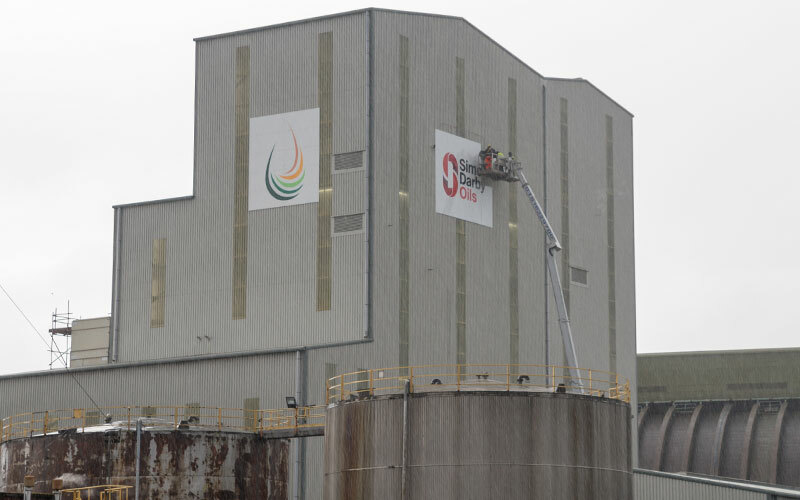 It was in 2010 when we first manufactured and fitted the original branded panels to the outer cladding of the building. 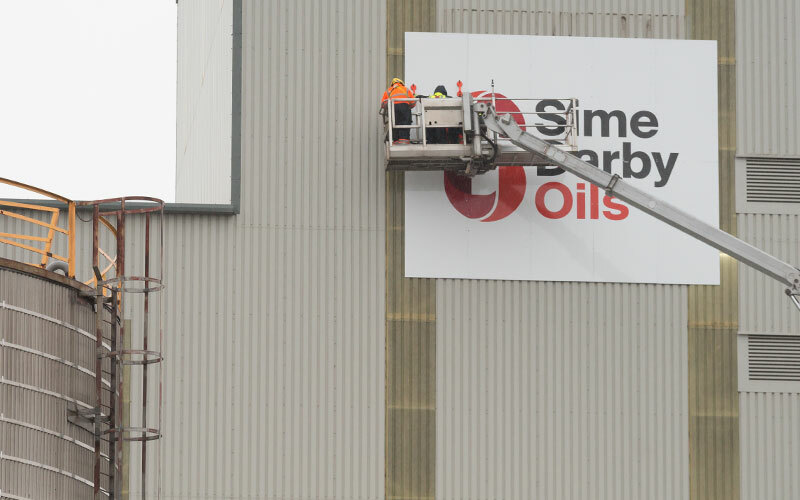 The main signage was to be fitted to two separate elevations on the cladding of the building at approx 30 metres up from ground level. Each elevation consisted of ten 2440 x 1220mm metal composite sign panels pieced together to form one sign. 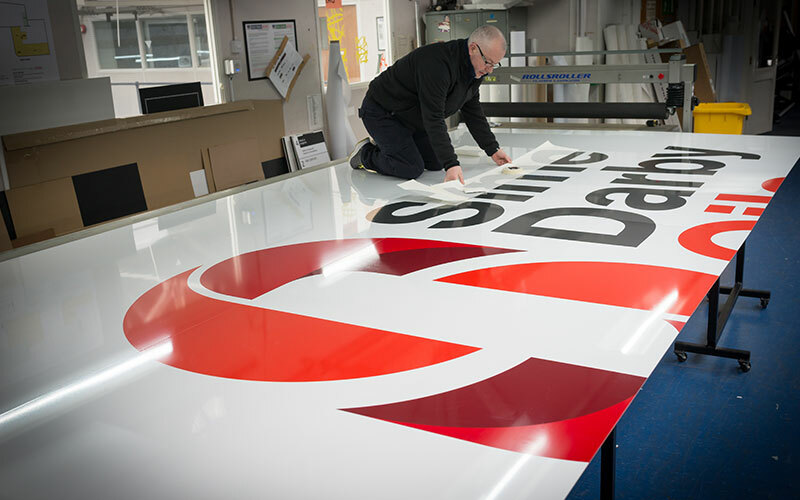 This had the new logo branding applied in long term self adhesive vinyl. The panels were fitted using a truck mounted 50m cherry picker with a 4m wide basket capable of holding 600kg. The original panels were removed and replaced in 2 days. The weather during the duration of fixing being typically british consisted of non-stop rain. The signs are visible from a great distance due to their size and elevation and the client was happy with the finished product. 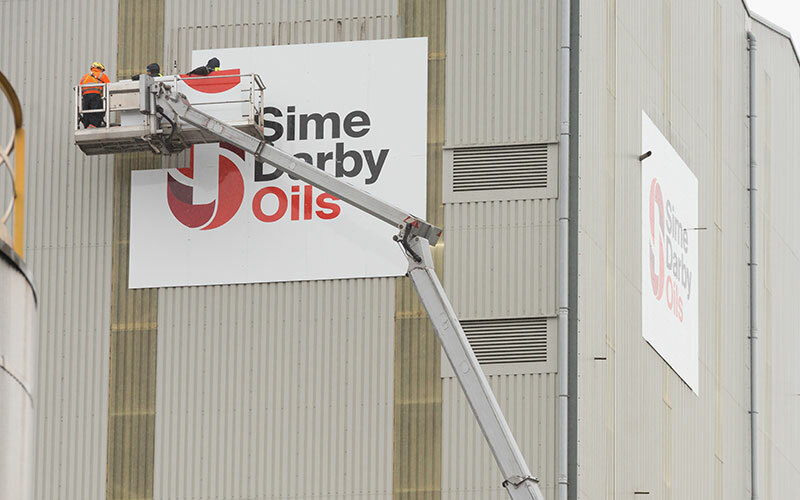 Liverpool Oil Manufacturer New Britain Oils to re-brand as Sime Darby Oils.